The first book in a fun and exciting series by award-winning author Frances Watt and Kate Greenaway Medal winner Gregory Rogers, introducing Tommy - a feisty kitchen hand who longs to be a knight. When Tommy is finally promoted to Keeper of the Blades, will a missing sword ruin everything? 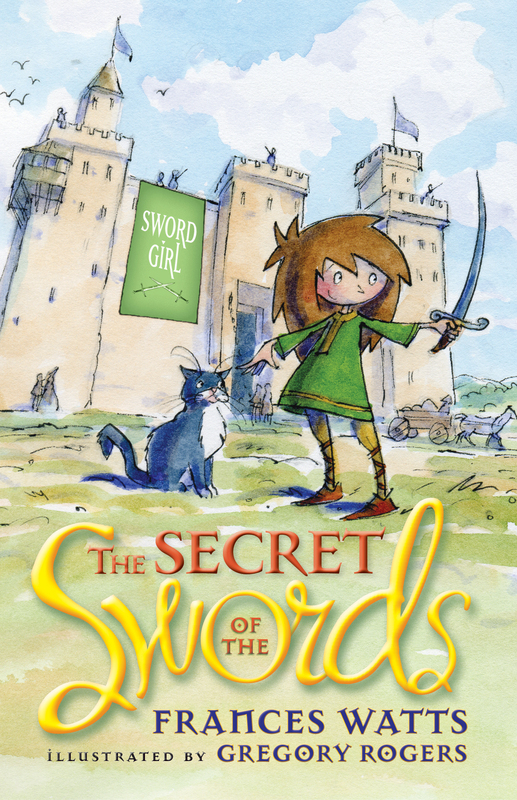 Tommy, a kitchen girl at Flamant Castle, dreams of becoming a knight - and when she is made the Keeper of the Blades, caring for all the swords in the castle armoury, it seems like her dream might come true. But then Sir Walter's most valuable sword goes missing from the sword room. Will Tommy be able to find it before she is sent back to the kitchen in disgrace? Introducing a feisty new character for girls (and their parents and teachers) who love adventure and want an alternative to 'pink' books. Created by Frances Watts, a CBCA Award Winner and author of the huge bestseller Kisses for Daddy. Frances Watts was born in Lausanne, a small city in the French-speaking part of Switzerland, and moved to Sydney when she was three. She spent nearly ten years working with some of Australia's most talented children's authors and illustrators before writing a book of her own, Kisses for Daddy, illustrated by David Legge. Their second collaboration, Parsley Rabbit's Book about Books, won the Children's Book Council of Australia's Eve Pownall Award. Her picture book Goodnight, Mice! (illustrated by Judy Watson) was awarded the 2012 Prime Minister's Award. Gregory Rogers was the first Australian to be awarded the prestigious Kate Greenaway Medal. His first wordless picture book The Boy, the Bear, the Baron, the Bard was selected as one of the Ten Best Illustrated Picture Books of 2004 by the New York Times and short-listed for the CBCA Awards, Younger Readers, 2005 and the APA Best Designed Children's Picture Book, 2004. Gregory sadly passed away in 2013.